Vijaya Bank Recruitment 2018- 04 Chief Manager Posts | PBSMLINKS | A Complete Information Sharing Portal!! As per the recent Vijaya Bank notification 2018, the eligibility details like Educational Qualification & Age Limit for the Chief Manager job has given below. 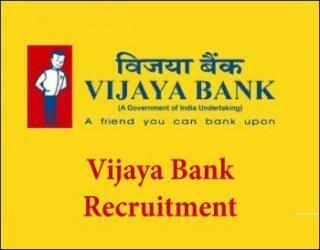 Vijaya Bank may follow the following process to select the candidates.